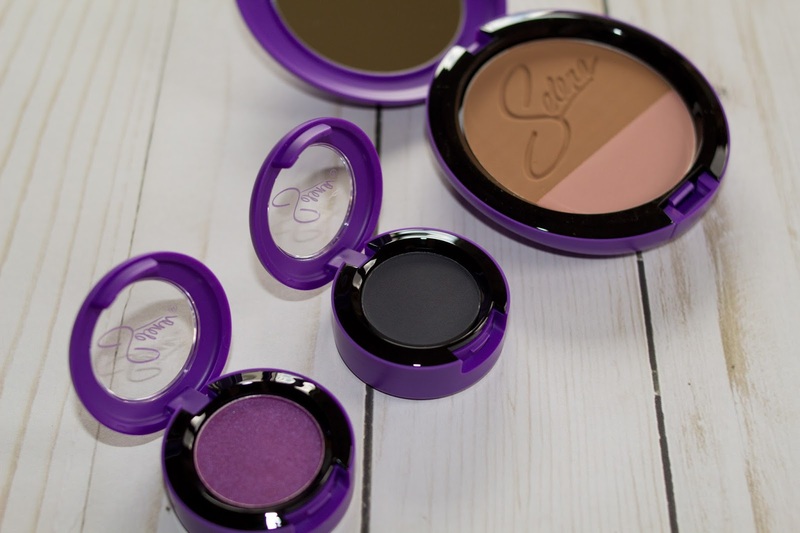 Last Thursday was a huge day for Selena fans; Mac cosmetics released a beautiful purple theme collection in her honor. The collection came about by her loyal fans and a petition a few years back. At first Mac thought it wouldn't be a good fit and that it wouldn't go over well. But we the Selena fans kept pushing and won the battle in the end; and did we ever so prove them wrong. During the pre-sales and online sales of the collection everything sold out almost instantly. 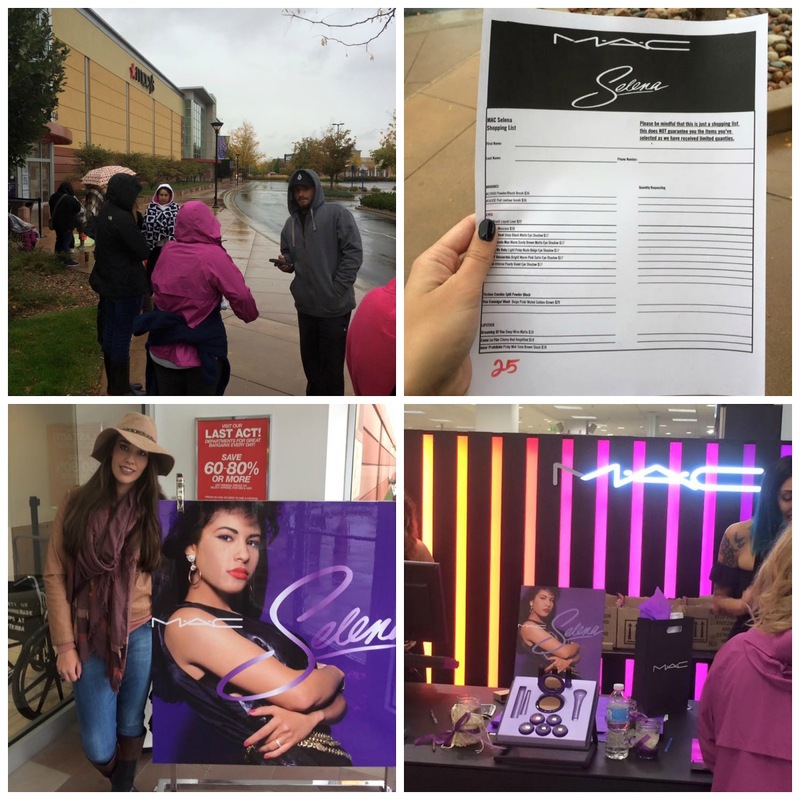 Sadly I was among the many Selena fans who weren't able to buy online; so early Thursday morning I headed to my local Mac counter before it opened and stood in line for 2 hours or so while it rained waiting with around 50+ loyal, kind & die hard Selena Quintanilla-Pérez fans. 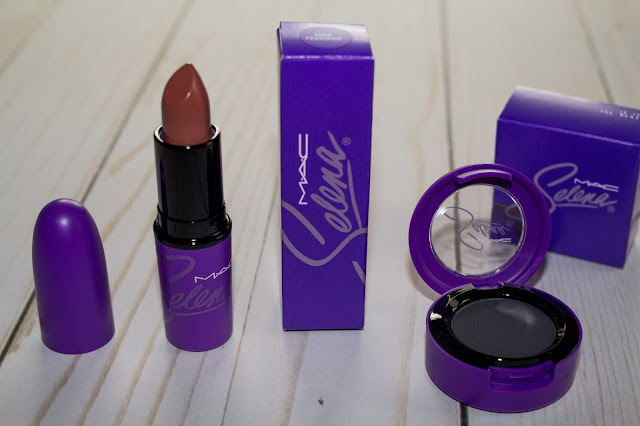 Things at my local Mac counter went fast. But luckily I was able to get everything I wanted. 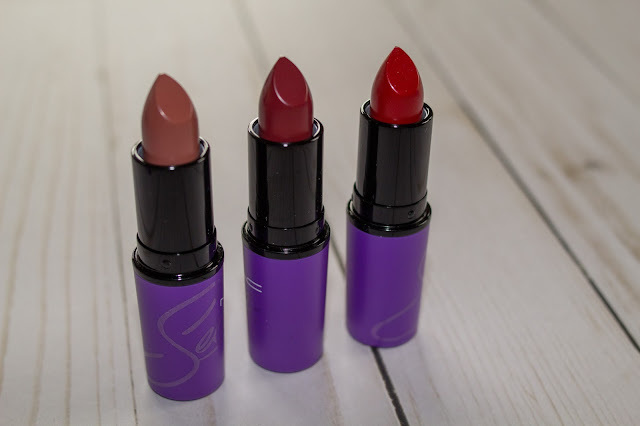 I even got back ups of the beautiful lip colors. 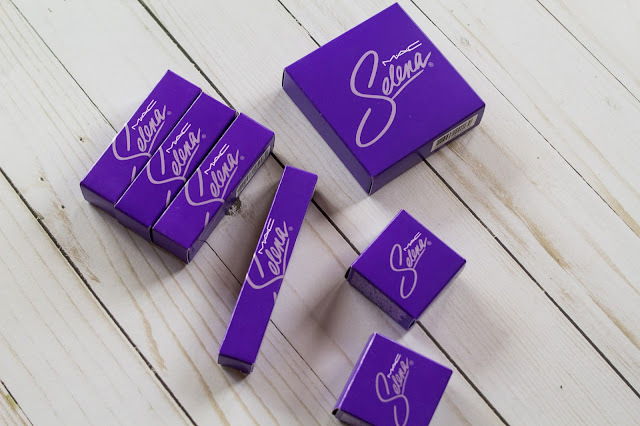 Since I am a huge Selena fan and have a small collection of other memorabilia I plan on keeping some of these products as a collectible. 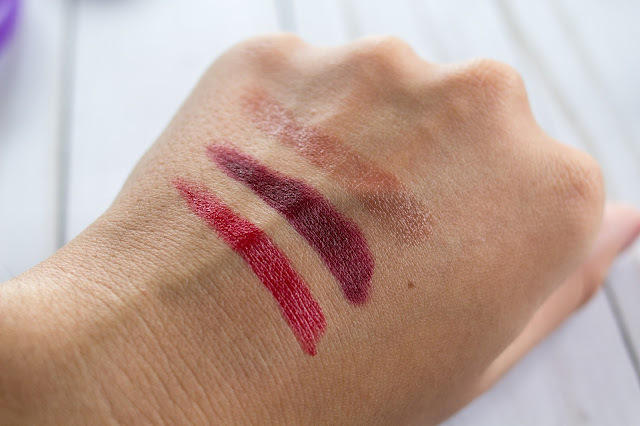 So that's why I've only swatched the lipsticks I've used. 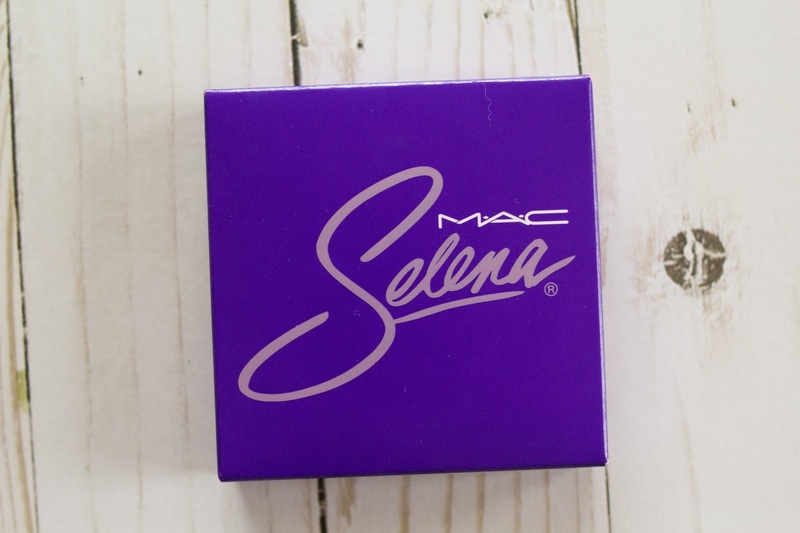 Win a Mac Selena lipstick in "Amor Prohibido" & Eye shadow in "Is it the Beat". 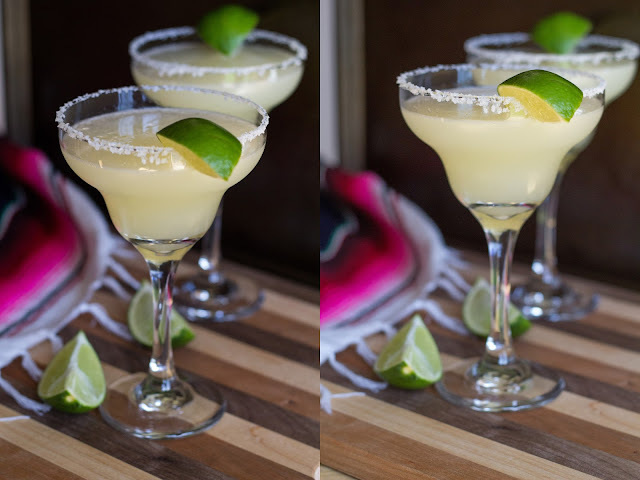 Make sure to leave a comment saying what entries you've completed. And an email address or Instagram account I can contact you at. Check out my Instagram for an extra chance at winning. 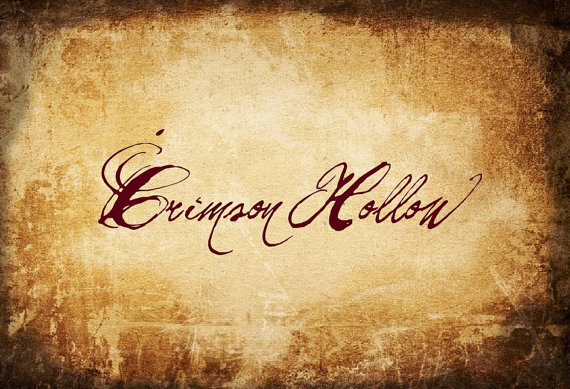 The collection is Sold Out online and at most stores & counters but you ever know there might be a few things still available if you go digging. ;) Also Mac said it will be re-stocked online but they haven't announced a date yet so keep checking. Did you get any of the collection? What's your favorite for the collection? 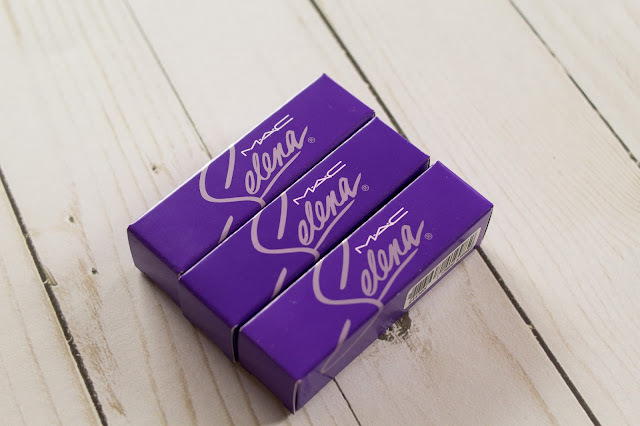 I love the lipsticks. I followed on all social media accounts. Followed all but this, I couldn't figure out how .-.